The young Mexican talent, Antonieta Gaxiola, is an up and coming cycling superstar who burst into the international bike racing scene with a win in the Junior Mexican National Road Championships in 2013. Her fast start launched her into the Mexican National Endurance Track Team program where she quickly became a 2x Pan American Champion in Team Pursuit and Omnium. 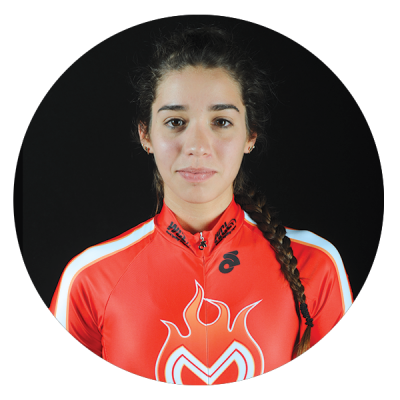 Antonieta is a popular new fixture in the cycling community who brings splendor and flare to the World Cycling League, guaranteed to dazzle the crowd as the youngest member of the Mexico Heat.